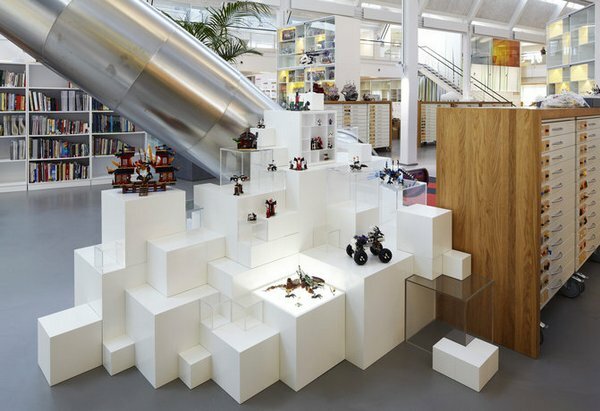 For little (and big) Lego fanatics, a career awaits in the well-appointed offices of Lego’s development department in Billund, Denmark. 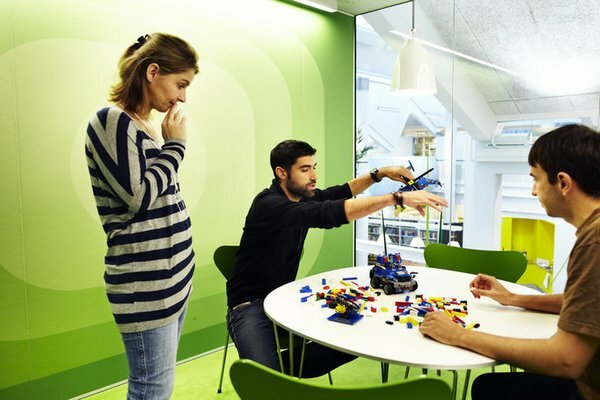 These lucky Lego employees get to build all day long (on special building tables and using bricks from fully stocked and sorted collections), display their ‘work’ on brick-like podiums and generally enjoy a beautifully designed open-plan office space. 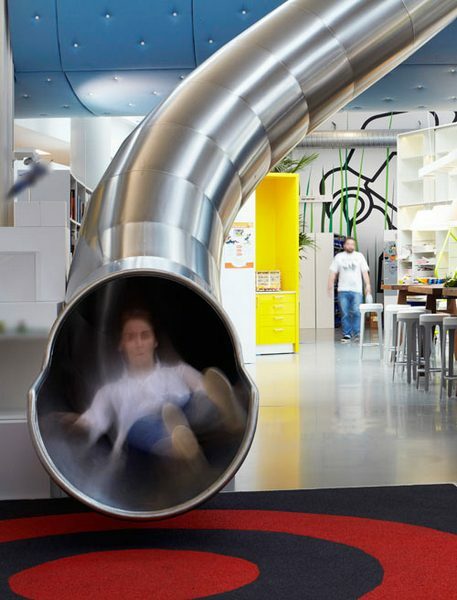 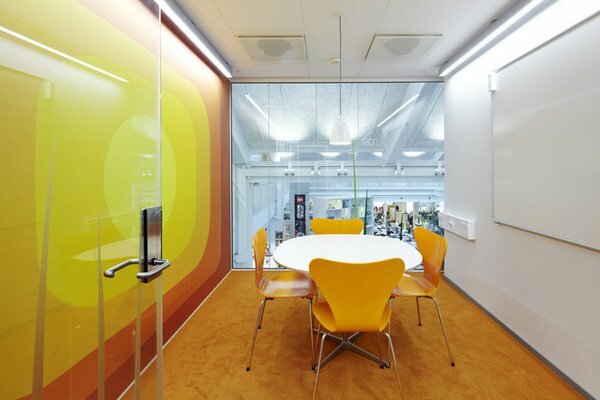 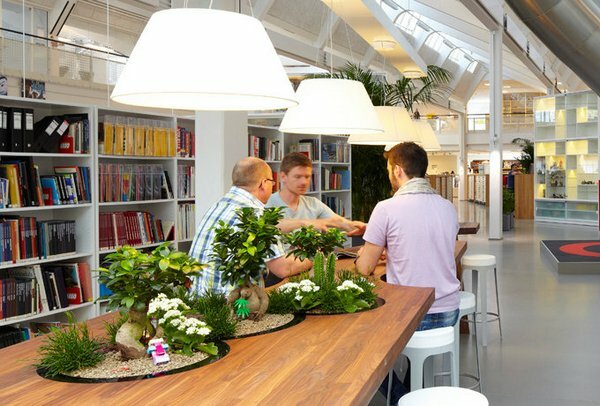 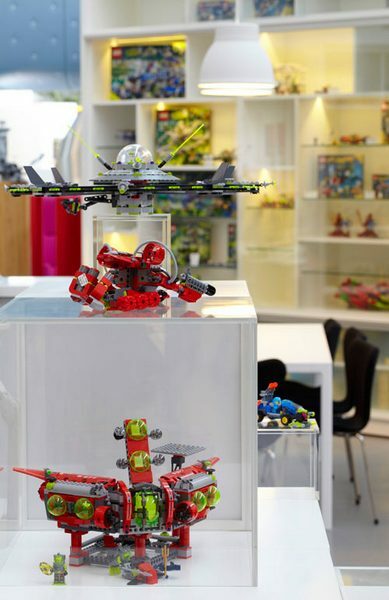 Lego’s development department office was designed by Rosan Bosch and Rune Fjord who managed to include bright pops of colour and opportunities for fun and creativity throughout the space. 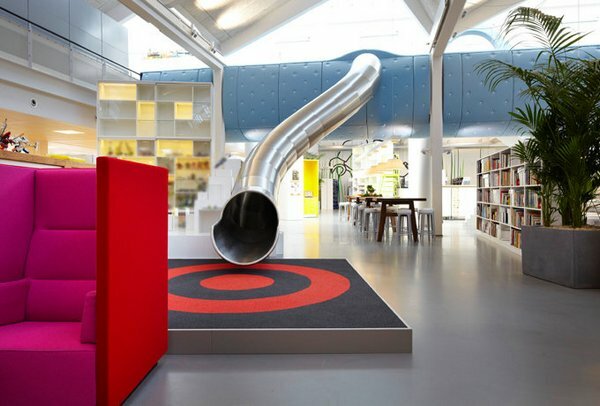 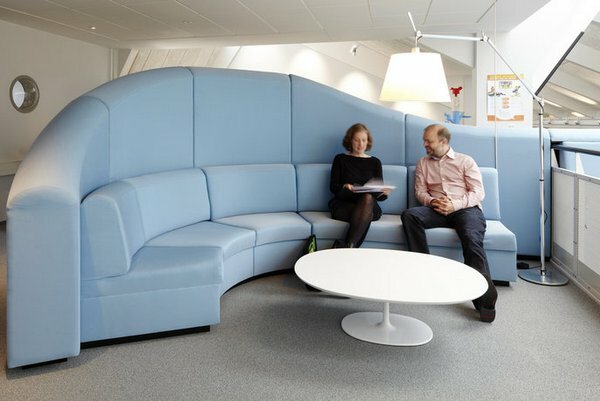 From colour-coded meeting rooms, a slide that connects the split level space, a library of Lego pieces, built-in bonsai gardens and spaces for either individual or group work, it’s certainly no ordinary office.